HELP! 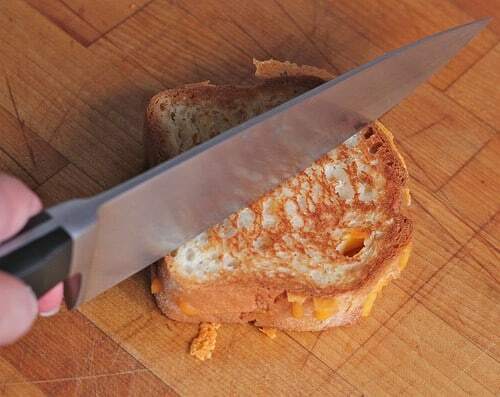 I don’t know how to make grilled cheese! 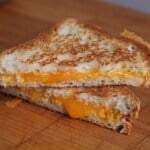 I grew up eating grilled cheese made with American Cheese. 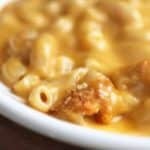 The cheese always melted. 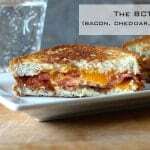 Now when I try to make grilled cheese on gluten-free bread with cheddar cheese, my bread browns before all the cheese melts. Whenever I cut into the sandwich, the middle is NEVER melted. What am I doing wrong??? I am using Udi’s white bread and grated cheddar. Thanks for your help! 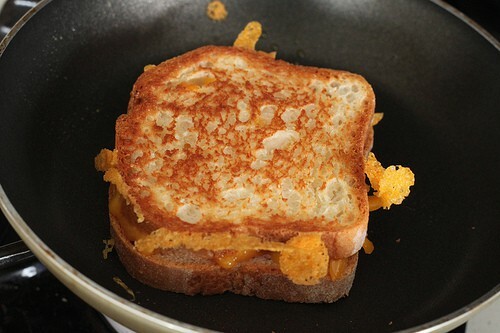 I knew you wouldn’t laugh at me even though I have no idea how to make grilled cheese, the easiest food in the world! This is such a great question! And of course I’m not laughing! 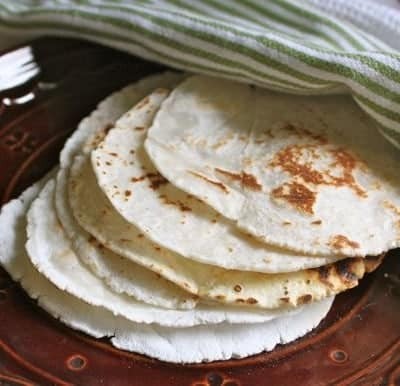 Sometimes the “easiest” things to make in the kitchen require a bit of know-how that no one ever talks about. Well, I’m talking! 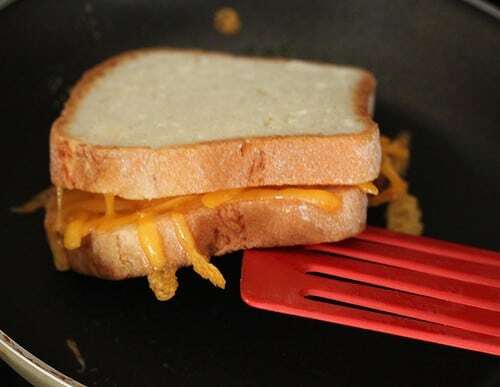 Here’s how to make a great gluten-free grilled cheese. 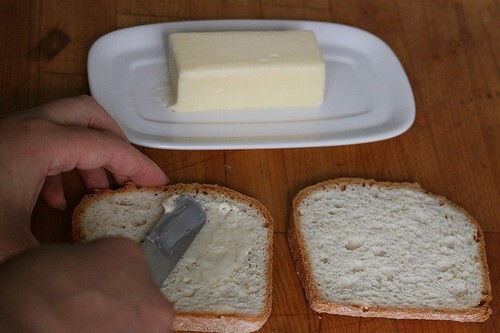 Butter each slice. 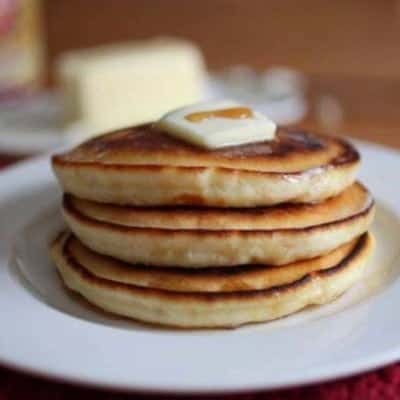 You don’t want too much butter; nor do you want “just a little.” While I’ve never measured it, I’m guessing you want about one teaspoon per slice of Udi’s. And be sure to butter right up to the crust. 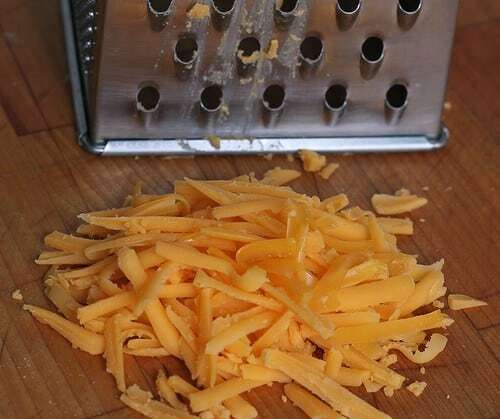 Next grate some cheddar. About one ounce is perfect for Udi’s slices. 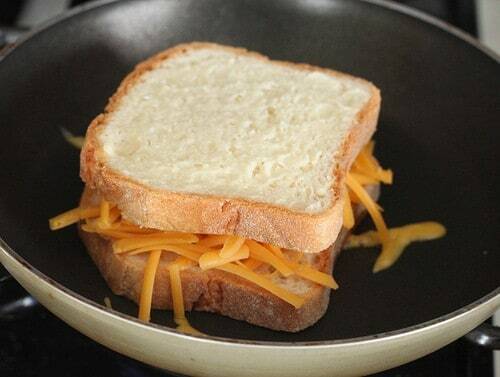 Place one piece of bread in the pan, butter side down, and top with the cheese. Don’t worry if some cheese gets into the pan. Top with the second slice of bread and turn on the heat to medium-low. This is important! Catherine mentioned that her bread would toast but her cheese would not fully melt. If you make a gluten-free grilled cheese over high heat, this happens. 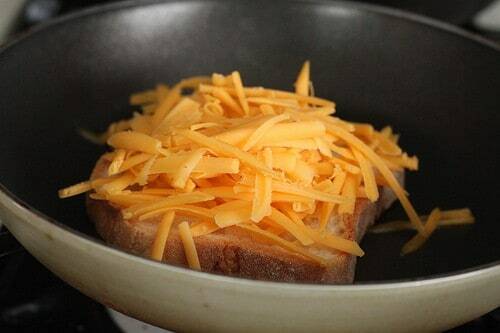 Over medium-low, the bread toasts as the cheese melts gently and fully. Take a peek! 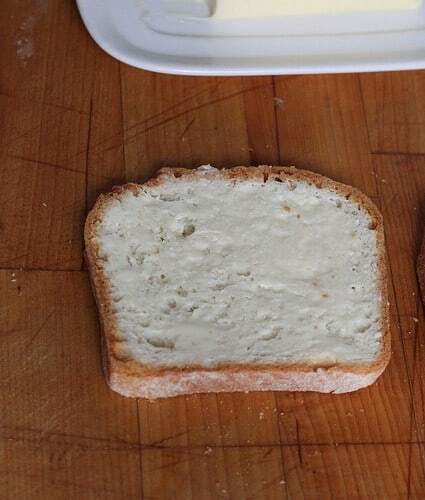 Lift up one edge of the bread and look under it. If the bread it golden brown, flip the sandwich. Press down! Unlike a hamburger, which you shouldn’t press down, grilled cheeses benefit from a little pressure. (Think panini!) 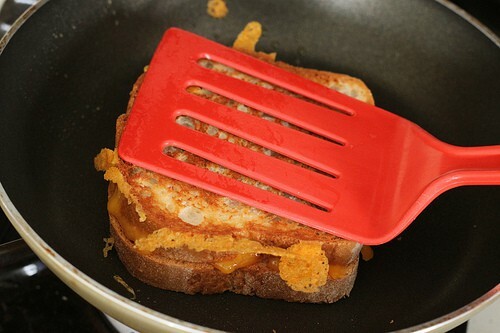 Use your spatula and press down on the sandwich. Okay. YUM! 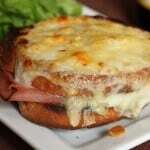 See those little crispy pieces of cheese stuck to the bread? Those are my favorite! Allow the sandwich to cook for another few minutes. Then peek again. When the bread is golden brown. Remove the sandwich from the pan. 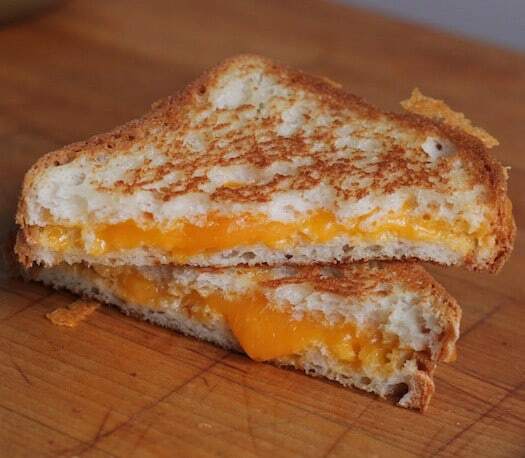 This is a simple grilled cheese. Add sliced tomatoes or a few slices of turkey and ham if you want. 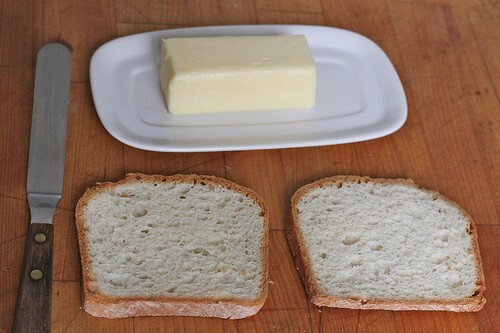 Spread butter evenly over each piece of bread. Flip sandwich. 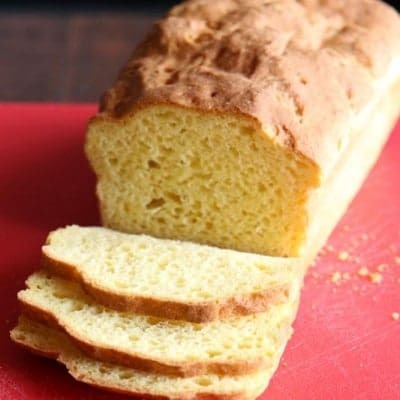 Cook an additional few minutes until bread is golden brown. 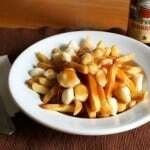 Remove from pan, cut, and serve.